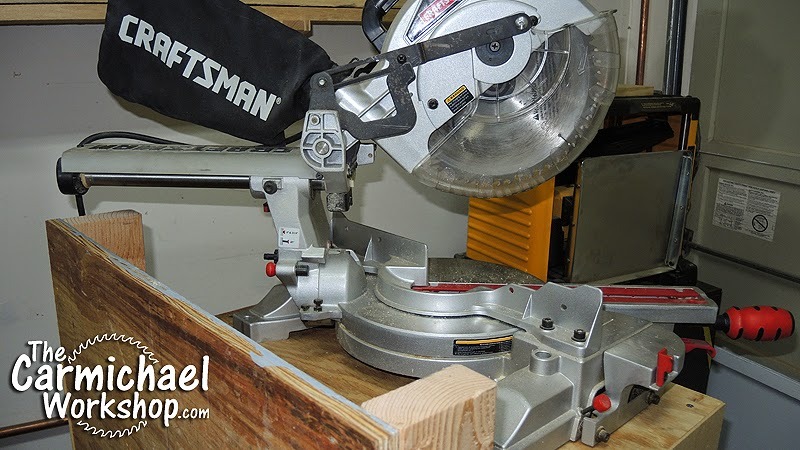 I received several comments and questions about the splitters and zero-clearance insert plate that I installed on my old Craftsman table saw a couple of months ago. Watch this video to see an overview of the installation of these, as well as my thoughts after using them for a while. Thanks to MicroJig for sending me their MJ SteelPro Splitter kit to try out. Also, thanks to Peachtree Woodworking Supply for having the insert plate for my old saw in stock. The insert plate helps with tear out and also keeps thin pieces from getting stuck in the gaps next to the blade. This was an issue with the original insert plate. If you want to tilt your saw blade, you will need to place your original insert plate on the saw. The MJ Splitters were easy to install. Just read and follow the instructions. Think about whether you want to install one or two splitters, considering how much space you have behind the blade and how high you want to raise the blade. The MJ Splitters are available in both thin and regular kerf size to be compatible with different saw blade thicknesses. Make sure you get the right size. Read the splitter instructions to understand the marks on each side of the splitters. These indicate how much "featherboard effect" the splitters can have when keeping the kerf open. Splitters are a good option for an old saw that does not have a riving knife or blade guard. Splitters can get in the way if you are cutting grooves into a board. When making partial cuts like this, the remaining portion of the board can run into the splitters causing it to stop feeding. If you use your table saw as a work surface, remove the splitters so you do not accidentally hit them and bend or break them. If you would like to do more research, below are some links to additional information and videos that can help you decide whether a splitter or zero-clearance insert plate is right for your saw. Visit the MicroJig MJ Splitter Product Page. Watch Frank Howarth's video on shopbuilt throat plates and splitters. 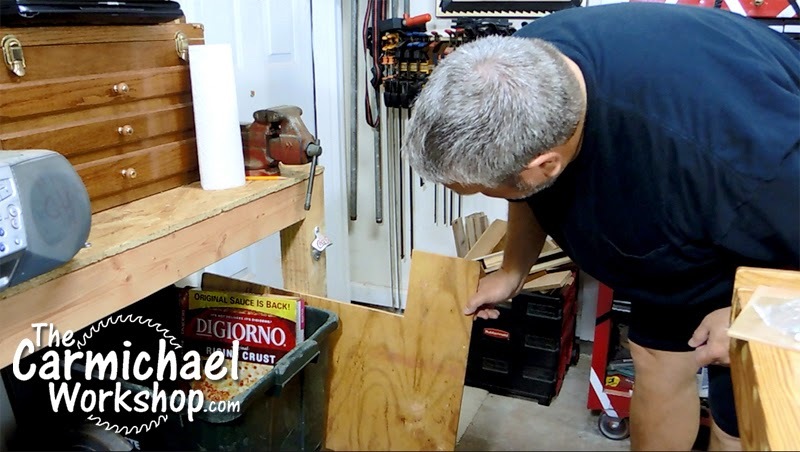 It was a beautiful day yesterday, so I decided to open up the shop doors and make a Miter Saw Stand out of scrap wood that was taking up valuable shop space. I didn't follow a plan...I was just winging it with the camera rolling. Watch my video to see how it turned out! 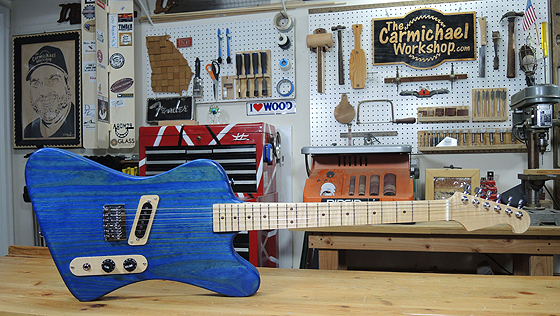 This was a fun project, but it was a challenge to build. 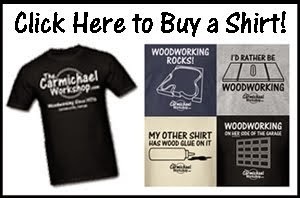 You have to measure your scrap wood to see what you have, then the material will dictate the design of the project. This is the reverse of buying material according to a plan like a regular project, so you have to make your brain think backwards. My only requirements were for the stand to have wheels, be at a comfortable height, have a bin for sawdust, and not restrict the saw's range of motion. I kept the back of the stand short so that the saw can move over it, yet saw dust would hit the back and fall into the bin. Since most of the dust would be at the back of the saw, I made the bin half the depth of the stand. 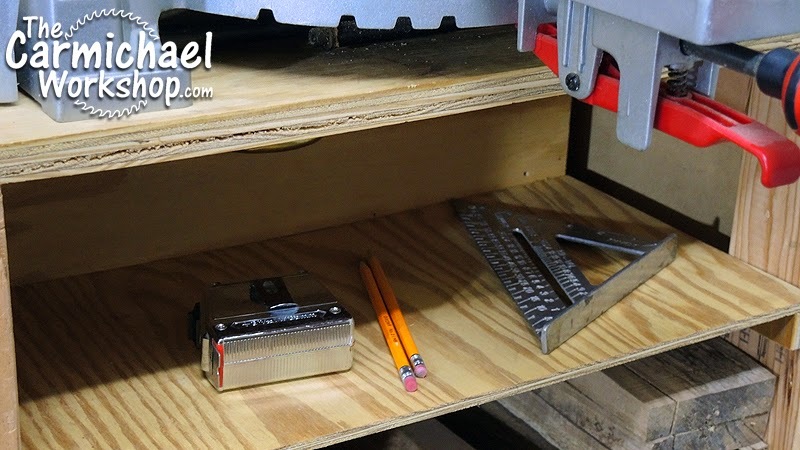 This allowed space for a shelf where I could keep my tape measure, pencils, and square. 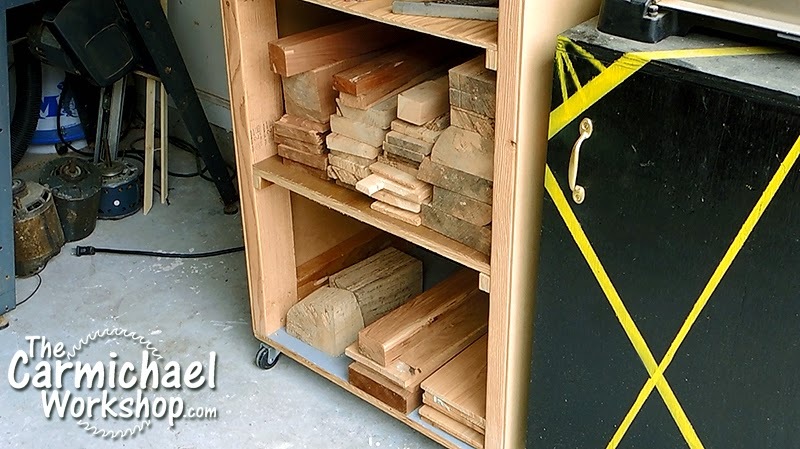 The two lower shelves are great for storing pallet boards and small cutoffs. I was stacking these on my lumber rack, but they just got in the way and kept falling off. So this was a huge bonus. It's not the prettiest Miter Saw Stand, but it fits my needs just fine. I will probably add some locking casters so I'm not chasing it around the shop, plus I may give it a really cool paint job sometime. 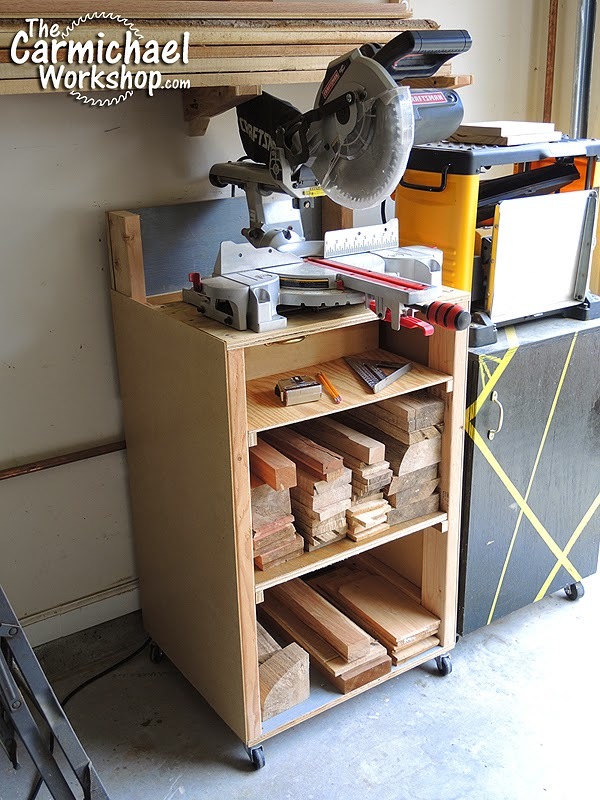 If you have scrap wood taking up valuable space, make something useful with it!